The powerful and sudden shifts in hip-hop are rarely encapsulated in one moment. Instead, the movements in its tectonic plates happen in small quakes and subtle repositioning of once solid ground, until one day the fertile land that rappers of various eras had cultivated into promising and successful careers ceases to be. These shifts are never-ending, and the landscape of hip-hop has been destroyed and rebuilt more times over than the city of Zion in The Matrix or the hosts in Westworld. There is no true end to hip-hop, but with each shift new sounds emerge, fresh artists are found, and artists of a past iteration of the genre find themselves sinking into the ocean. This type of cycle is not prone to any single region or subgenre, either. It’s the transition in the sound of the South from the grittiness of the Geto Boys and UGK to the lush, otherworldly creations of OutKast and Organized Noize, as much as it’s the introduction of Auto-Tune into the late 2000s catalogs of A-list artists like Lil Wayne. Time and time again, these movements eventually coalesce into something monumental, and eventually, those stuck at the crossroads of embracing or fighting against each transition in hip-hop learn a lesson in survival. Nearly 10 years ago, though, Kanye West and 50 Cent created a watershed moment that actually encapsulated the type of effects a hip-hop earthquake could cause. 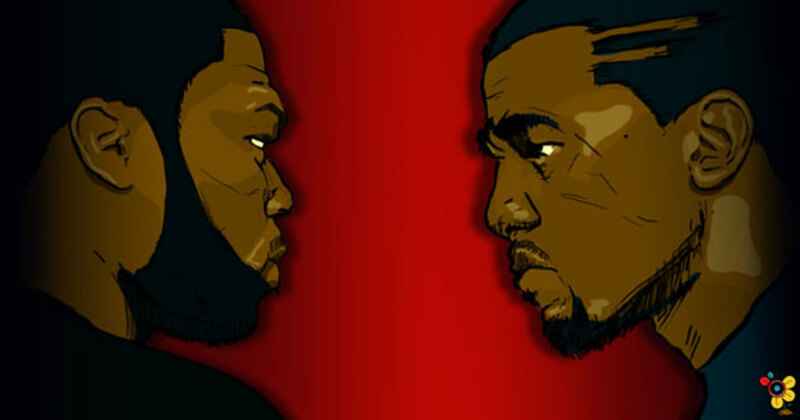 We tend to remember Kanye vs. 50 Cent for its most superficial elements: the race for higher album sales for each of their third albums, the promise by 50 to never release another album if he lost the duel, and the orchestrated spectacle of two of rap’s biggest names fighting for the title belt. Yet, it was never truly a heavyweight match or traditional “rivalry.” Rather, Kanye vs. 50 was a fixed fight from the very beginning; a duel between two rappers who, on the surface, looked like equal fighters from different ends of the rap spectrum. 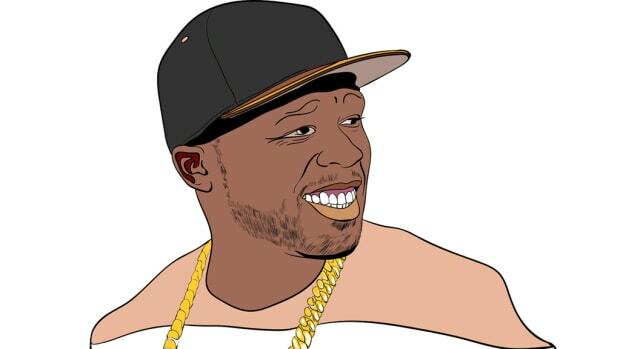 The match was supposed to decide which of the two men would dominate rap, yet what 50 Cent never realized was that the outcome was decided the minute Kanye West rose to fame. There have always been unmistakable parallels in both Kanye and 50 Cent’s music and careers. For 50, the thematic elements of his first two albums always centered around competition and conflict; conflict amongst his peers in rap, his rivals in New York, and within himself. Below the surface of 50’s classic debut album, Get Rich or Die Tryin’, is a story of paranoia and pain. He wasn’t just a typical rapper who grew up in the streets and used his upbringing as fuel for his pen, but someone who had literally been pushed to the brink of survival. GRODT amplifies that survival instinct and served to punish anyone and everyone that continued to stand in 50’s way. It’s an iconic album that finds genius in the notion that comfort and safety can’t always be found in the midst of those around us. 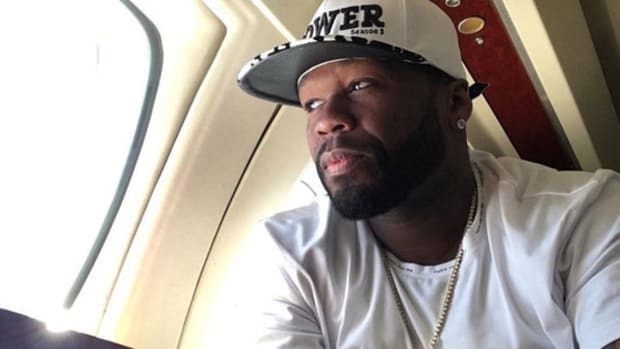 50 Cent was at his best when he found inspiration from those lurking behind his back. Ironically, Kanye’s career initially carried many of the same elements. In Kanye’s mind, comfort and safety could also never be found in his corner in the world. His first two albums, The College Dropout and Late Registration, include themes of missed opportunities and betrayals by everyone from girlfriends to label heads to Ronald Reagan. 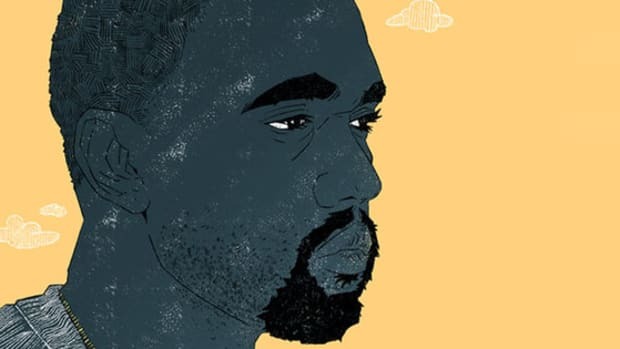 In Kanye’s mind, his genius was perpetually overlooked by those around him, and from that angst and discomfort, much like 50, came his brilliance. For both men, there always needed to be an enemy from which inspiration could be drawn. While 50 reveled in the idea of rap beef, constantly waging war with the likes of Ja Rule, Jadakiss and Fat Joe, Kanye&apos;s wars were always waged with rappers he felt he was better than, even if he was much more discrete. The wars both men waged profited them in more ways than one, with each finding that as long as there was someone to place in front of them, whether it was a New York rapper or a Capitol Records executive, they could survive in hip-hop. The theme of survival remained prevalent on both of their third albums—Curtis for 50 Cent and Graduation for Kanye West. Both allude to the idea of looking back, but in many different ways. Kanye’s Graduation may not be his personal masterpiece, but it remains a masterpiece of hip-hop. It’s filled with lush, futuristic production that still, to this day, manages to culminate the most innate characteristics of Kanye’s past music. From the lonely, echoing piano keys of “Everything I Am” to the flashy perfection of “Good Life,” Graduation is the point in which Kanye West figured out how to be the icon he dreamt of being. It’s an album that focuses on where Kanye came from, but from 30,000 feet in the air, while he pours champagne out the window of the plane. No longer did his vision feel relegated strictly to his rap peers, and it marked the first instance in his career where being the best rapper and being an icon were two different goals. More importantly, Graduation’s best material—songs like “Good Morning,” “Champion,” “The Glory” and “Homecoming”—feel so much more powerful because Kanye turns those feelings of nostalgic angst, anger and heartbreak into something progressive, both sonically and lyrically. For 50 Cent, the past is a concept that suffocates Curtis rather than heightening the album’s music. The records were a retread of 50’s greatest aspects—the bravado and flashiness—that spawned out of near-death and violence on GRODT, except this time around, it just wasn’t interesting anymore. The familiarity of even 50’s best moments on Curtis, like “Come and Go” or “I Get Money,” sounded like an outdated playlist by one of your friends who refuses to listen to new music. At its worst moments, Curtis shines an unfortunate light on not only the limits of 50’s music career but the crumbling surface beneath it. Tracks like “Ayo Technology” and “I’ll Still Kill” feel contrived, and as if maybe even subconsciously 50 was pivoting towards a sound he wasn’t fully ready to commit to. Whereas Kanye displayed the ability to grow as an artist, Curtis proved to be an album that highlighted 50&apos;s limitations. Kanye vs. 50 Cent was fixed because of the undercurrent of hip-hop’s changing landscape. Although both artists experience success while feeding off the spirit of competition, only Kanye managed to find new rivals for inspiration. No longer were the likes of JAY-Z, Nas, Eminem or even 50 Cent himself big enough adversaries in Kanye’s mind, and as his career progressed, idols like Walt Disney and Steve Jobs became his competition. 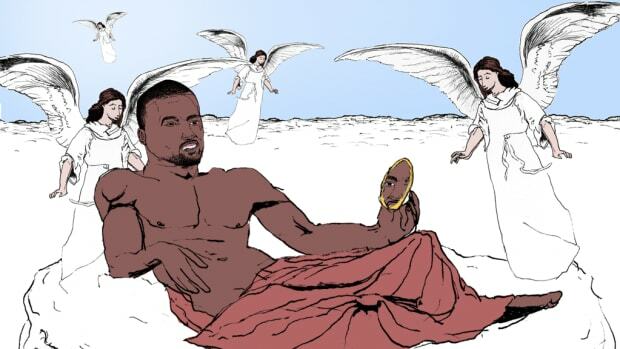 Rap was his outlet, but Graduation, as well as future projects like My Beautiful Dark Twisted Fantasy and Yeezus, showed that his music was aimed at a more transcendent purpose. In 50’s case, one-time rivals like Ja Rule and Fat Joe became minuscule compared to his own fame, and the thrill of his New York rivalries became more a curse than a gift. 50 Cent essentially became a man with no country. His art became unable to compete with the sweeping canvases of those like Kanye, and not interesting enough to maintain the base he once had. There is more that can be learned from this event than the death of the early 2000s iteration of gangsta rap. What ultimately separated 50 Cent and Kanye West was a willingness to not only adapt but to embrace the fluidity of hip-hop&apos;s ever-changing sonic landscape. The core of 50’s career was born from a version of New York rap that would eventually lose ground to a landscape shift. The days of mafioso rap, street anthems, mixtapes, and album marketing would shift to something much different, and artists like 50 were reluctant to change. As it stands now, New York rap is almost unidentifiable to any one sound, with everyone from Desiigner to Joey Bada$$ to French Montana finding their niche. 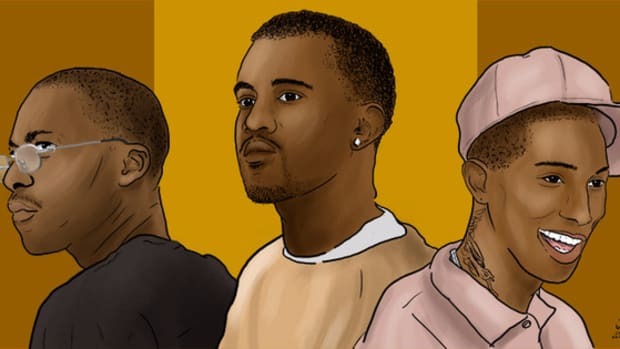 The writing was on the wall the minute artists like Kanye, those who found more eclectic, interesting sounds to inject into the genre, started becoming famous. For as much as the disappointment of Curtis proved that 50’s style of rap was a rapidly declining subgenre, it was never the catalyst. 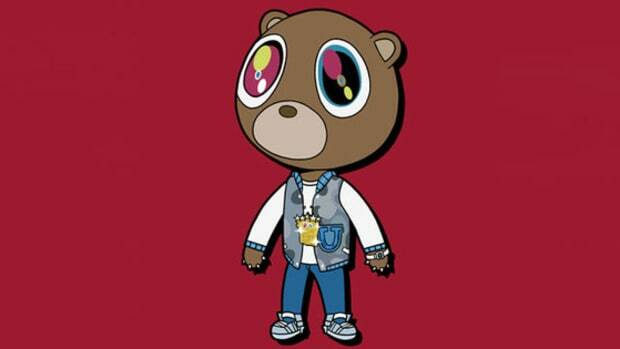 In Kanye’s case, he felt less and less confined by the“Chicago rapper” label and became a vessel for all of hip-hop. He adapted to an industry that became more connected through the internet than by regional identifications. On 50’s track “I Get Money,” a song that feels like a king rapping from a throne in a burnt down castle, he wistfully boasts, “I run New York.” Whether it was true or not, it only served to further showcase his tunnel vision; the crown no longer mattered. There is something to be said for 50’s survival, however, even if his career in rap had to die for him to see it. What 50 and Kanye’s rivalry showed us was that rappers could no longer be confined to just rap and expect to remain on top. For 50, the price was his career, and although his business intellect allowed him to make money off of Vitamin Water and jump-started a career in show business, it was a resurrection spawned out of an inability to find his way in music any longer. In Kanye’s case, he not only managed to become an even bigger businessman but allowed his music to intertwine with his business dealings. His adaptability allowed him to create rivals for his music out of fashion designers and icons, and with it spawned some of his most memorable, if not polarizing, material. 10 years ago, Kanye West vs. 50 Cent gave us a perfect example of the how the perpetually altering landscape of hip-hop is not kind to those who fight it and allows those who embrace it a chance to sustain their careers. Although Curtis and Graduation were both albums that bathed in the past experiences of the artists who created them, Graduation also felt like an album in search of a new journey. An artist’s career in hip-hop often mirrors the ground it’s trying to stand on; constantly shifting and recreating itself to adapt to new sounds, outlets, listeners and technology. 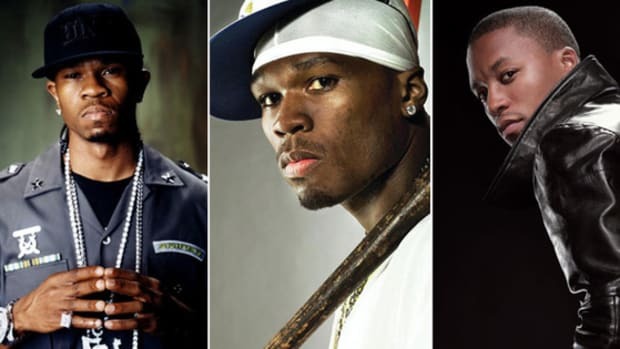 When it came to their album competition, Kanye showed up to a gunfight with a rocket launcher of eclectic, iconic rap records, while 50 Cent arrived with a pistol that no longer fired any bullets.